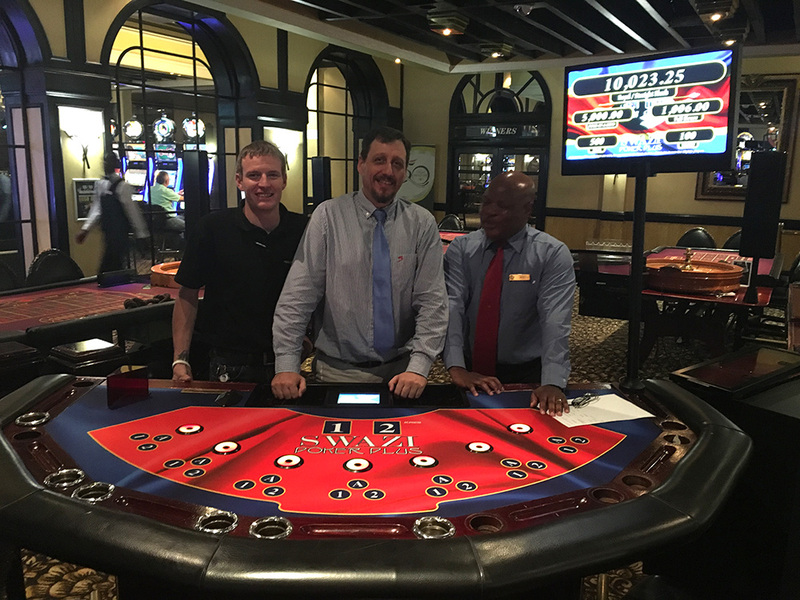 Paving the way for innovative table gaming in Swaziland, Sun International’s Royal Swazi Spa teamed up with industry-leading manufacturer and supplier TCSJOHNHUXLEY to install the very first progressive table game in the country. In honor of the casino’s 50th anniversary, their existing Raise ‘Em Poker table was upgraded to include TCSJOHNHUXLEY’s Bonusing system, which enables them to customise the game with bespoke progressive jackpots. Progressive games such as TCSJOHNHUXLEY’s Raise ‘Em Poker Plus, Big Bang Blackjack and Casino Hold ‘Em Poker Plus, have grown increasingly popular in South Africa due to their integration with the Bonusing system. Because of its flexibility, operators are able to set custom contribution ratios and choose fixed percentage payouts that satisfy their needs and suit player demands, which keeps them at the table longer.